Winter has arrived, Not just for the Game of Thrones Fans, but for all the RBI Grade Aspirants as well. April is the month, when the RBI Grade preparations get serious. (Abhi Nahi to Kabhi Nahi). This is because, from April, just about 4 months (tentatively) are left for the RBI Grade 2019 Phase 1 Exam. Now the Question arises, What is the best way to prepare for RBI Grade B Officer Exam? Every aspirant preparing for RBI Grade B should have one Quality, i.e to understand the WHY of everything. It means, if something happens, one should know WHY did it happen. Clarity of concepts is important along with structured study and immense amount of practice. One of the best ways would be to follow the previous years’ toppers and learn from their journeys. Both in the year 2016 and 2017, Oliveboard’s users have secured RBI Grade B Top 3 ranks – AIR 1, 2 & 3. Read on to understand what toppers have to say. What do toppers say about Oliveboard’s RBI Cracker program? “For Phase 1, I was dependent solely on Oliveboard’s Mock Tests. I found the level of tests very difficult and hence every time there was a lot of learning and scope for improvement. For Phase 2, I had appeared for mock tests of Oliveboard. Oliveboard mock tests for phase 2 also were very informative, descriptive and they did provide an edge in preparation as score analysis was done on the spot. He clearly stated that one needs to practice mock tests to get an edge in preparation and more important is to analyse his or her performance. Improving the weak areas and staying updated with the latest exam pattern helps a candidate to score better in the examination. What are the features of Oliveboard’s RBI Grade B Cracker Course? Oliveboard’s RBI Grade B Mock Test Series has set a new benchmark for RBI Exam preparation among aspirants throughout the country. Now, Oliveboard has decided to take its Online preparation a step further by introducing the RBI Grade B Cracker Course. This Online Course from Oliveboard is the most comprehensive course out there for RBI Grade B 2019 Exam. It covers both – Phase 1 and Phase Exams. The RBI Grade B Cracker course will help you achieve the goal of becoming an RBI Grade B Officer through structured study, mentorship, live classes, live practice and more. Complete General Awareness Syllabus: RBI Cracker Course will also cover the complete general Awareness syllabus for RBI Grade 2019 Exam. It will include Current affairs sessions, financial awareness, etc. Live Classes and Live Practice Sessions (LPS): RBI Grade B Cracker course has a good mix of Video lectures, Live classes and Live Practice sessions for ESI, F&M and General Awareness. Live Sessions would be conducted by Oliveboard’s Top Faculty for each subject. LPS would also be monitored by the faculty. Video Doubt Clearing Sessions: One of the most exclusive features of the course is Video Doubt Clearing Sessions conducted by faculty. Here, users can get their doubt cleared directly by the faculty. 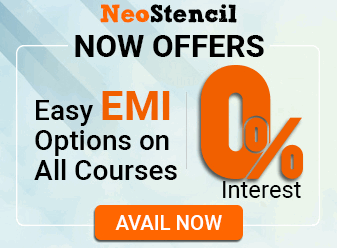 ESI and F&M Study Notes: Aspirants who enrol for the RBI Grade B Cracker Course would get Complete ESI and F&M Study notes prepared by experts at Oliveboard. Phase 1 and Phase 2 Mock Tests: Oliveboard understands the importance of practice along with learning. Hence, the Cracker course also gives you Mock Tests for both Phase 1 & 2 of RBI Grade B Officer Exam. Oliveboard has India’s best faculty team for RBI Course! The RBI Grade B Cracker course would be conducted by Oliveboard’s Top Faculty for each subject. So, Don’t Waste Any more Time, Enrol for the RBI Cracker Course for 2019 Grade B Officer Exam NOW. All the Best for your RBI Grade B 2019 Preparation.